An RV entertainment system is an important part of any RV setup. If you’re going to be spending a lot of time in an RV, then you’ll want to have some things to keep you fresh and entertained! Most RVs don’t come with very robust entertainment systems in place, so you’re looking at an upgrade most likely. How much you wish to upgrade is entirely up to you. In this post, we’re going to talk about the works – a complete overhaul. However, you can pick and choose whatever components that you need. The beauty of this system is that it’s entirely modular and you don’t have to do it one way or another. Let’s start from the front and work our way towards the back. The Jensen JRV9000R is a truly all-in-one entertainment system/navigation system/camera system for your RV. 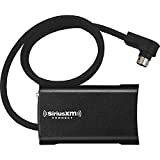 It’s ready to hook up to SIRIUS XM satellite radio – though you need to purchase the tuner and subscription separately. 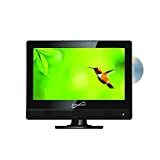 It also has a disk drive to play DVDs and music CDs, accepting a wide variety of formats: DVD/VCD/CD/WMV/MP3. You can hook up up to three external cameras. On most RVs, you’ll have three backup cameras – one on the back, and one on either side. You can choose which camera to receive a feed from on the screen, and you can also set a priority order for which cameras should trigger first. The Navigation system is RV-optimized and it factors in the size of your RV before setting a route for you. You’ll get US and Canadian maps, a welcome bonus if you live near the northern border and frequently drive up into Canada. You can also hook up your iPhone through the USB interface to access your music and playlists. It’s really simple – just plug and play! To turn this into a fully functional system for home entertainment, there is an RCA output to hook up to front/back speakers and subwoofers. If you have movies or music on a hard drive or USB drive, there is a USB input you can use. There is one composite video output to hook up to external screens, like the main TV in your RV. This is actually one thing I am not too crazy about – in this day and age, you really MUST have HDMI out! The manufacturer specs do say this unit is HDMI capable but it’s still unclear as to how it would work. That being said, none of the units we reviewed particularly had HDMI outs. One guess as to why that is: DVDs don’t require HDMI! Since the manufacturers probably never factored in a Blu Ray player, they saw no need to set up HDMI. 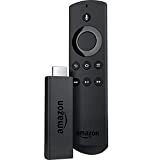 If you want HD video, you can use a satellite system connected directly to your TV, or you can use an Apple TV or Amazon Fire stick. Earlier versions of this unit seemed to have a problem with having a dim screen, but newer models have fixed this issue. The installation process is nice and easy and it should not take more than 1 or 2 hours to get it up and running. Since a lot of your time is going to be spent driving a giant house on wheels all over the country, you’ll want to have a nice radio system for having content to listen to on those long drives. 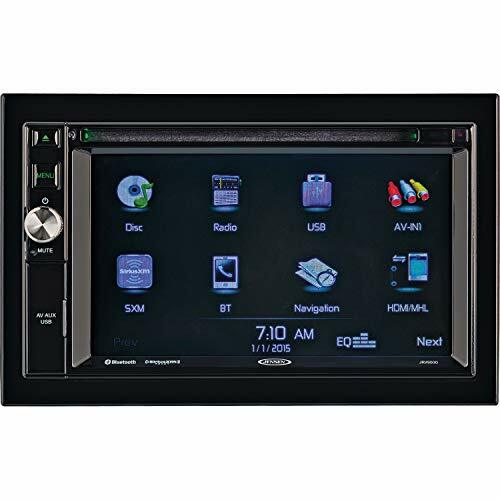 There are some really good satellite radio models that have a good sized screen built in so you can hook up a backup camera if you want. The radio system can connect to speakers you position anywhere in the RV. You can have speakers up front for private listening while the folks in the back do what they want, or you can have speakers throughout the RV for everyone to listen and sing along. Since the main dashboard you’ll pick up already has Sirius XM capability built in, the only extra part you require is a tuner and a subscription. 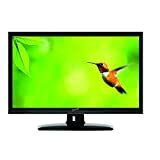 Since RVs have 110V out, you can use a normal LCD HDTV as long as it’s small enough to fit comfortably wherever you want to mount it. If you don’t want to keep using your generator, then there are DC12V ready TVs, too. Most RV owners will wish to have one TV in the living area, since that’s where you’ll be spending most of your time throughout the day. If you’ve got a large Class A RV, you can have one TV in the living area and another one in the bedroom area for private viewing, too. Whether you wish to have satellite TV or not, you can still use your RV’s television for watching DVDs, Blu-Rays, and hooking up a video game console. To set up a home theatre system in your RV, you need a multi-zone receiver. This is a little unit that becomes the brains of your entire RV’s theatre system. It has a DVD player, card reader, and audio outputs you can connect to subwoofers and speakers. You’re only limited by your imagination and space as to how many speakers and subwoofers you wish to use. Unfortunately, since DVDs are not that common anymore, most multi-zone receivers don’t have DVD drives anymore. Instead, you can just use a normal multi-zone receiver that doesn’t have a disk drive – but does have video input – and hook that up to an Apple TV, ChromeCast, or Amazon Fire stick – you’ll need a working internet connection, though. 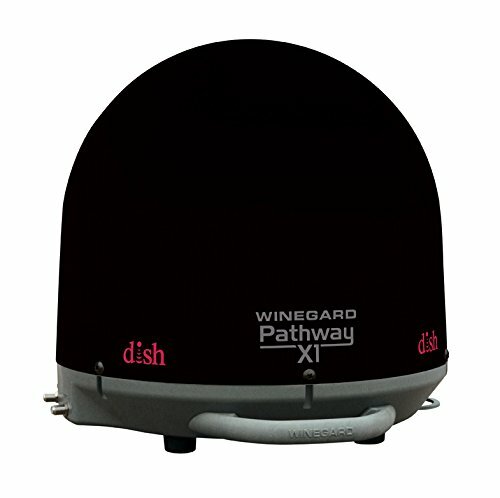 The Wingard Pathway X1 is a portable satellite receiver and dish system that is ideal for RVs. Small and compact, you can either mount this receiver on your RVs roof using the optional roof mount, or stow it in storage and place it outside using the tripod mount whenever you camp somewhere. It should be noted that these receivers will not work when the RV is in motion – you must be stationary for the satellite to be able to acquire a signal. Fortunately, you don’t have to do much to acquire the signal – the dish is motorized and will automatically set itself in the correct direction to DISH network’s satellites. This antenna is compatible with DISH network only. You can use their pay as you go service, or add it to your existing plan at home. This receiver is designed for wall mounting without a separate kit and is RF-remote capable without an external antenna. Netflix, Game Finder and other apps. Bluetooth audio support (with use of USB adapter). This satellite dish can receive HD video – so you can enjoy really high quality TV. If you’re serious about spending lots of time in your RV(perhaps even living full time) and wish to keep up with sports, or watch your favorite TV series, then a satellite dish is an absolute must. While you can indeed use Netflix or something similar for streaming movies and TV, internet connection on the road will be spotty at best and you’ll be limited to finding campgrounds that have wifi. With a satellite dish, you can have access to HD TV pretty much anywhere in the continental United States. The unit is fairly compact. It has a diameter of just 14.3″ and a height of 13.5″, and weighs about 10 lbs. The picture makes it look a lot bigger than it actually is. A 25 foot coax cable is included which you connect to the receiver. The receiver then connects to a TV using an HDMI cable. You don’t need to power the antenna externally – it receives the power it needs for finding the signal through the coax itself. Please note that satellite receivers will get spotty reception if the weather is very bad. This is to be expected of any receiver and dish.